A short post this week, so welcome to my Not a Six on Saturday! 1. What happened to the Rocket? The arrows are pointing to where it should be. 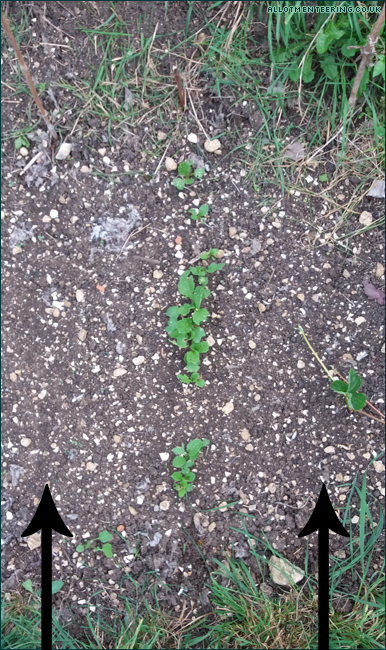 I think this is another failure from the hot summer, but at least the radish line in the centre, and the strawberry escapee from the neighbouring raised bed are thriving. 2. 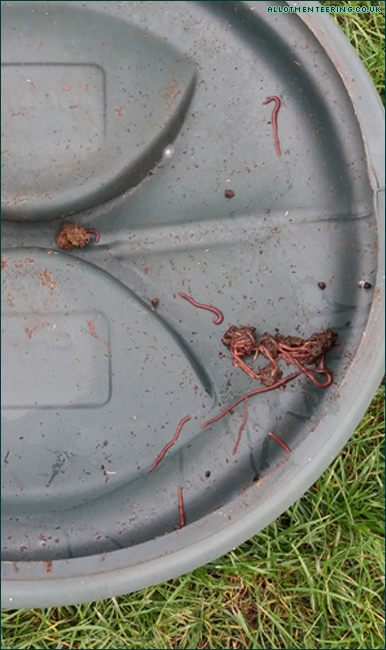 We normally have ants and worms in the compost bins, but this is the first time I’ve seen so many worms all in the lid! 3. 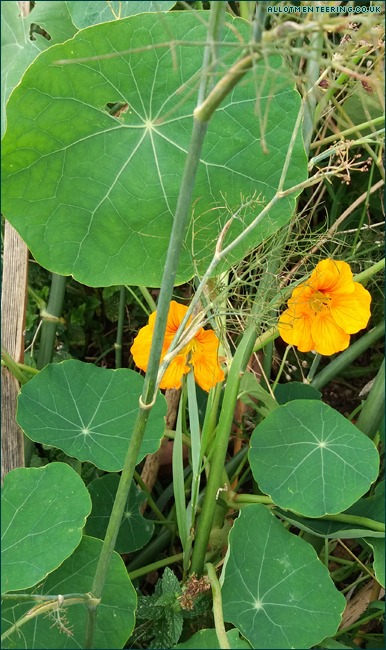 Mum’s convinced I fed these Nasturtiums, but they’re just in ground which hasn’t had anything added to it. 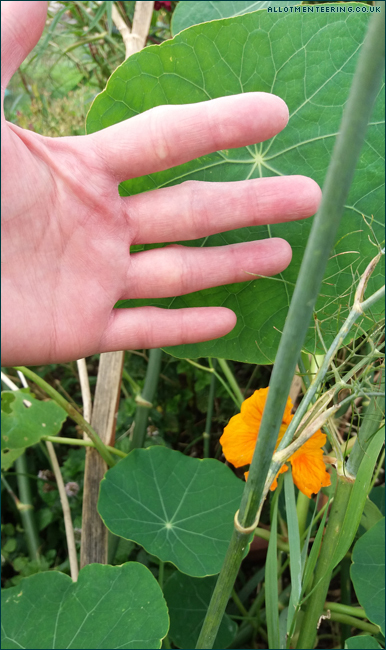 That’s one solitary Nasturtium leaf, which is longer than my fingers! They are next to the compost bin though, so maybe some of the goodness is escaping!